Consumers are inundated with notifications from all types of mobile messaging services, and though many will engage with businesses that use relevant alerts, most organizations don't capitalize on the opportunity. 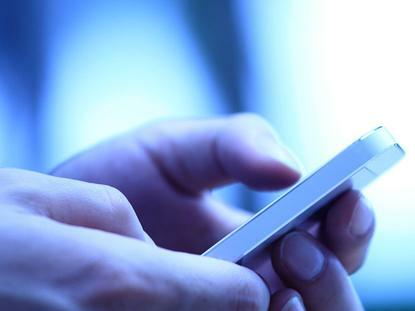 Messaging is the most frequently used form of mobile communication among consumers today, but the majority of businesses fail to effectively use mobile messaging services to communicate with their customers, according to a new report from Forrester Research. The firm surveyed 1943 U.S. smartphone users between October and December of last year to identify the messaging they consider to be the most effective and contextually relevant. Social media notifications are the most popular messaging alerts, and consumers are typically more willing to receive them from apps such as Facebook Messenger, Snapchat or WhatsApp than from retailers, banks, travel agencies or healthcare providers, according to the report. More than half of the users surveyed opt-in to social media alerts, while 38 percent of Android users and 32 percent of iOS users opt-in for alerts from retailers. The report found that most consumers opt-in to notifications to receive timely information or be alerted to emergencies. The majority of respondents also said they take action on important alerts immediately, and 57 percent took some kind of action the last time they received a message notification. For example, 51 percent of those surveyed opened the associated app and then took action within it; 22 percent read the message and took action offline; and 14 percent read the message and replied directly from the notification. Messaging service usage rates vary widely by app or technology, according to Forrester. The vast majority, or 83 percent, of consumers use both SMS and email; 61 percent receive push notifications from other apps; 57 percent use a downloaded messaging app; and 51 percent use additional in-app notifications, according to Forrester Research.